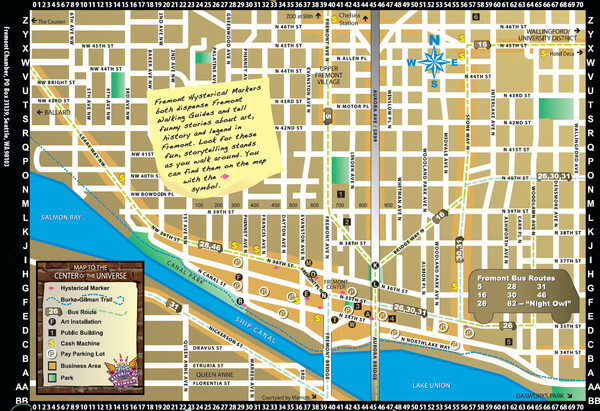 Walking tour map of Fremont Washington in city of Seattle. Center of the known universe. Shows walking routes and bus routes.